Airshow China 2010, held from 16 – 21 November in Zhuhai will showcase the importance of the country to the international aerospace industry, with a slew of indigenous aircraft produced by Chinese companies reflecting their ambitions. Here is a glimpse of Pakistan Air Force presance at Zhuhai. Other than JF-17, Pakistan eyed on J-10, who will be joinging their fleet in near future. Chinese officials indicated that it would also develop new versions of the type. A B-model aircraft has already been proposed, with this to have a thrust-vectoring engine and an active electronically scanned array radar. Moreover, China is likely to accelerate the modernisation of its fighter fleet over the next decade, and is looking to induct additional indigenous aircraft and order new types from Russia. A naval version of the J-10 is also on the cards, with sources saying that China hopes to get its aircraft carrier programme up and running in the next decade. But with an indigenous naval fighter expected to take too long to develop, China is reportedly negotiating with Russia’s Rosoboronexport arms agency for an interim batch of 48 Sukhoi Su-33 fighters. 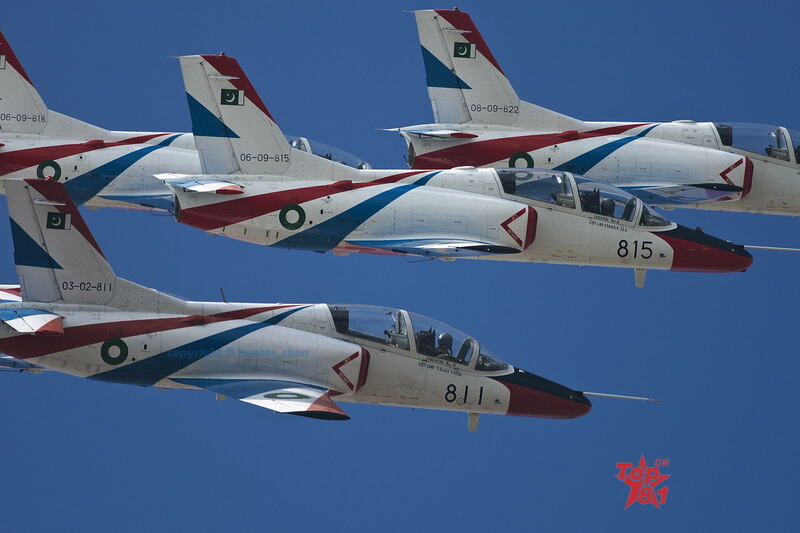 Pakistan Air Force has sent their aerobatic team “Sherdils” to fly with K-8 trainers and JF-17 Thunder fighter aircrafts at the airshow. 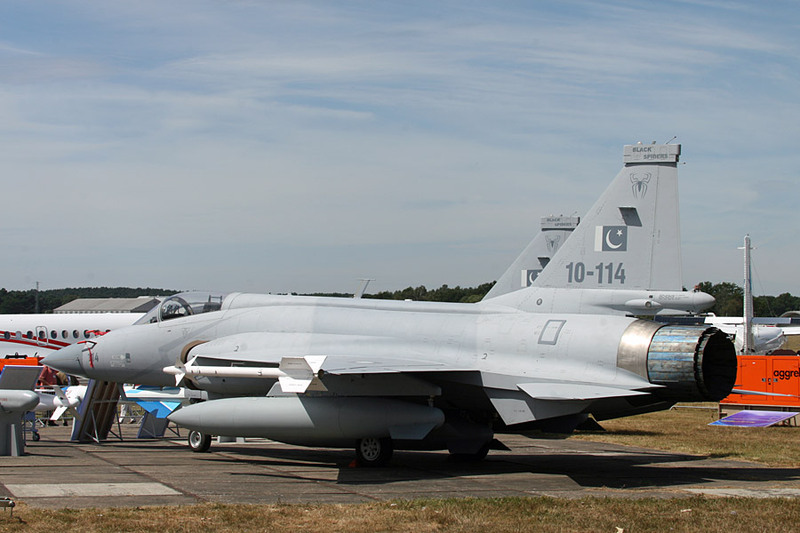 The Pakistan Air Force (PAF) is to send three JF-17 (shown above) Thunder fighters to Airshow China 2010 at Zhuhai. Following the type’s international debut at this year’s Farnborough International Airshow in July when two aircraft attended the static display, the PAF is to send an additional aircraft to Zhuhai to take part in the flying display. 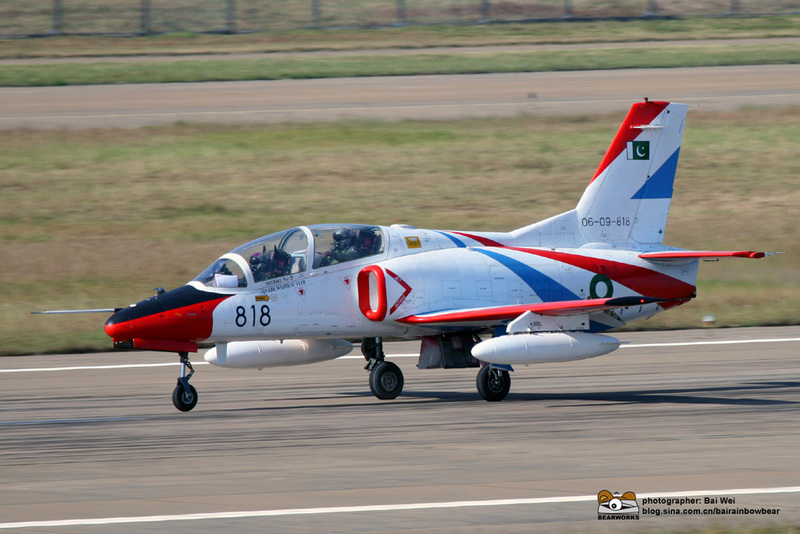 Pakistan acrobatic teamSherdils used K-8 advanced trainers, were bought to replace the Sherdils’s aging T-37 trainers. Other highlights of the show includes the display of BP-12A (shown below) long-range, GPS guided rocket, This new BP-12A VLS rocket system has a module warhead design that can fit different munitions in accordance to different mission profiles. 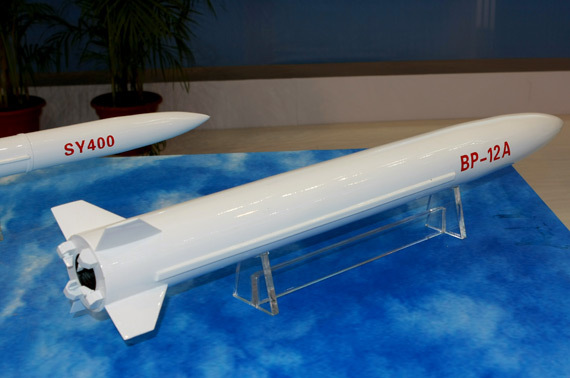 Its SY400 based motor propels it to a range up to 400 KM, making it one of the longest, non-Ballistic, rockets available today. In recent years several aircraft have caught the eye of Western observers. In addition to the J-11B, which is reportedly comparable with classic Boeing F-15s, the fighter receiving the most attention is the Chengdu J-10 (shown below), said to be similar to the F-16. 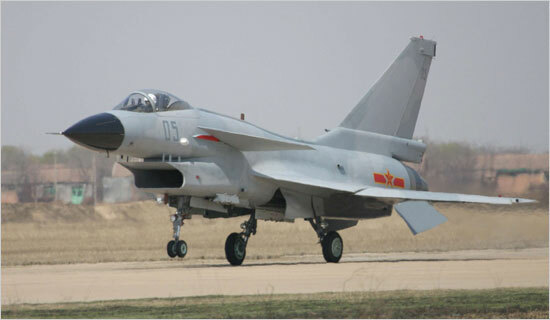 Bitzinger believes that China will eventually induct around 300 J-10s and 300 J-11s. Furthermore, China is in discussions about selling the Chengdu Aircraft/Pakistan Aeronautical Complex JF-17 Thunder fighter to up to eight countries.The third-generation, single-engine fighter, which was jointly developed by Pakistan and China, is being pitched as a replacement for several existing types. These include the RSK MiG-21, Dassault Mirage 5, Northrop F-5 and Chinese models, such as the Nanchang A-5 and Chengdu F-7. Three Pakistan air force JF-17s, along with a number of other Pakistani aircraft, are in Zhuhai and a JF-17 participated in the flying display. There were also around 170 officials from the service at the show.